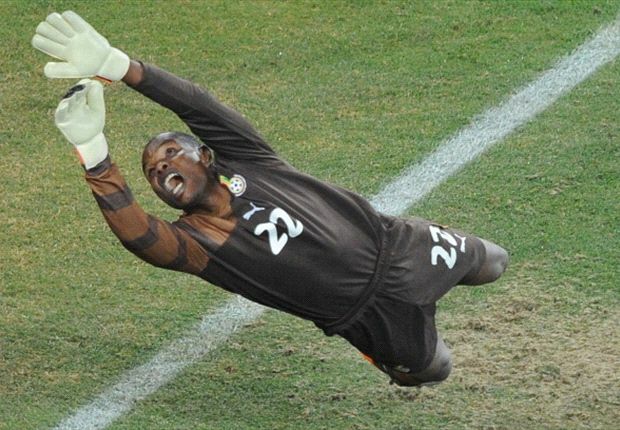 Ghana goalkeeper Richard Kingson has cut ties with Doxa Katokopia and has signed for Turkish side Balikesirspor. The veteran shot-stopper capitalised on a clause in his contract to move on after the Cypriot top flight sidedenied an initial offer from the Turkish second-tier club. “I am glad to be back in my second home which is Turkey after seven years. Balikesirspor is a great club and I am ready to sweat to help them to succeed,” Kingson said after sealing the deal. The 36-year-old manned the post for the Black Stars in their two previous World Cup appearances. He joined Doxa in 2013 after going clubless for almost two years and made 10 appearances for them earning him a Ghana recall during the 2014 World Cup qualifier against Zambia. The Ghana international has previously played for Galatasaray, Sakaryaspor , Goztepe, Antalyaspor, Elazıgspor, Ankaraspor, Blackpool and Wigan. This entry was posted in SPORTS and tagged Ghana, kingson, olele, turkish.